Start planning your equestrian events with our 10 best horse shows to see in 2018. There are many horse shows to see in 2018, here at Site Event, we have put together a list of some of our favourites for you to have a look at. 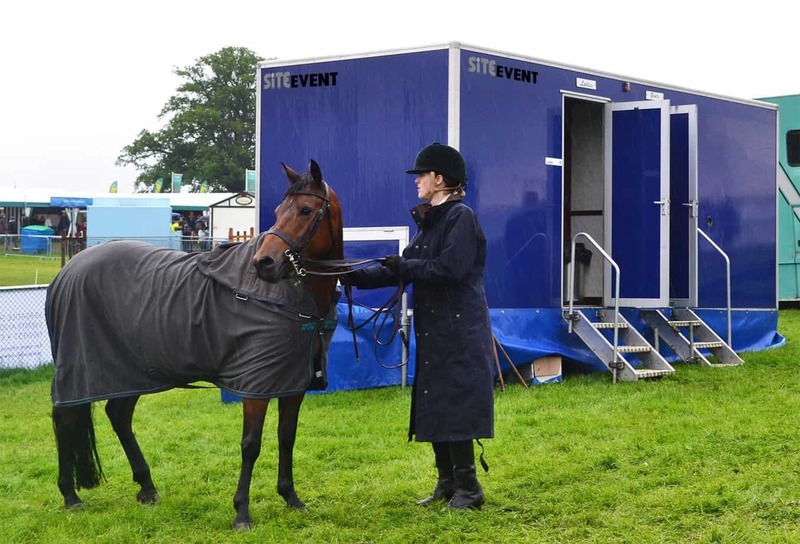 Site Event has 30 years experience supplying luxury toilet trailers (including a Horse Stable themed toilet trailer), Eco Loos, showers and much more to horse shows across the South East of the UK. Here are our 10 best horse shows to see in 2018! The eagerly anticipated event begins on Tuesday 19th June until Saturday 23rd June. There’s a variety of hospitality packages to curate your own special day. The Royal Windsor Horse Show has a variety of different events across Wednesday 9th May until Sunday 13th May. These include show jumping, dressage, endurance, showing and Land Rover international driving Grand Prix. This event is set in the beautiful grounds of Windsor Castle in Berkshire. The Epsom Derby comes alive on the 1st June with Ladies Day and continues with Derby Day on the 2nd June. From the carnival atmosphere and picnics on the Hill, to top hat and tails in the Queen’s Stand and upbeat musical entertainment, it’s guaranteed to be a memorable occasion. The Al Shira’aa Derby is held from Thursday 21st June to Sunday 24th June and is famous for it’s showjumping. 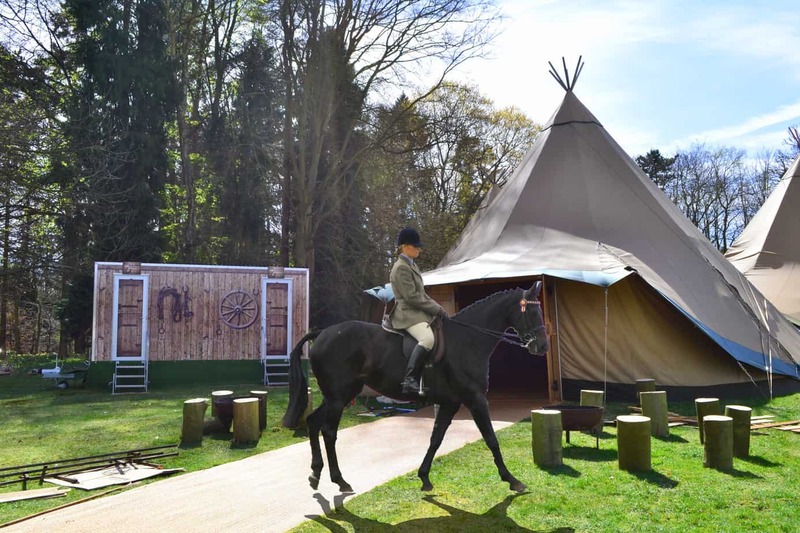 There are also a number of hospitality options for those who want to make their visit to Hickstead extra special, from the Members’ Restaurant, private boxes, Ringside Lodges and more. Set on the stunning Marlborough Downs, across four days the world’s best riders and horses will be competing in the sport of Eventing at the St. James’s Place Barbury International Horse Trials. This event takes place between Thursday 5th July and Sunday 8th July. This London based show features dressage, show jumping as well as Kennel Club dog agility, Shetland Pony grand national and extreme driving. This takes place between Monday 17th December and Sunday 23rd December. Winter Dressage Championships celebrates all that is great about British dressage which is held on Wednesday 11 April until Sunday 15 April 2018. Talented amateurs and Britain’s best compete side by side over five days of intense competition. The Qatar Goodwood festival, commonly known as Glorious Goodwood, takes place between Tuesday 31st July and Sunday 4th August. With its position as one of the largest race meetings in the world, the Qatar Goodwood Festival is a spectacle that has to be experienced. On the 14th April, The Grand National takes place at Aintree Racecourse. A total of 21 races will take place during the Grand National meeting. The National is on ITV for the second time this year after winning the broadcasting rights to show racing. There are 450 matches played at Cowdray Park, with the highlight of the season being the King Power for the British Open Polo Championship. The three week tournament to decide the winners of the British Open will start on June 26th with the Semi Finals on Wednesday 18th July and Final on Sunday 22nd July. If you require toilet hire for horse shows, or any event across the South East of the UK, please do not hesitate to contact our friendly sales team on 0800 371 994. Alternatively, you can email us on the address at the top of the page or fill out an enquiry form. We will get back to you as soon as possible!